you have to be brave: “Some people will make fun of you, some people will say you aren’t making a difference, and some people will disagree with you. But young people have always led the biggest movements in history. And in the end, we have always been the winners. So ignore those people, they are probably really boring people anyway.” What else can young people teach the rest of us about climate change politics and activism? Responding to climate change in a way that minimizes temperature changes to 2°C or less in this century sounds daunting. We need to both reduce greenhouse gas emissions and adapt to changes resulting from past and current emissions–while at the same time creating jobs and securing well-being for a growing population. It seems an impossible task that demands way too much of us, individually and collectively. What is missing from this picture is recognition that change can be attractive, desirable, and most of all, FUN. The youth movement gets this. They know that climate change is a political issue that it calls for mobilization, engagement, and action. A video clip on YouTube captures the energy of this movement and demonstrates that change not only can be fun — it is fun. Young people today are not naïve. They know that climate change matters, and that there is no “Planet B”. They know that they have to make a difference in the political sphere, whether by joining political parties, showing up at international negotiations, lobbying for new laws and regulations, or protesting and demonstrating to make their voices heard. Young people know that the future is being decided today, and they want their voices heard — collectively. Collective action is not drudgery. As the video shows, it is about joining up with others to accomplish what no individual can achieve alone. It is about being together, organizing, strengthening relationships and having an influence on society — and it is about having a good time while doing this. Smiling, dancing, and working to make a profound political difference expresses their passion and commitment to a better world. The transformations needed are by no means trivial. The IPCC Fifth Assessment Report from Working Group III underscores the need for changing investment patterns, regulatory approaches, and sectoral policies. It also draws attention to the influences of behavior, lifestyle and culture on energy use and greenhouse gas emissions. The sobering report shows that there is much to be done, and acknowledges that we are likely to “overshoot” atmospheric CO2eq levels, even if they may fall to lower levels later. Such overshoot increases the probability of exceeding any given temperature goal. In the case of climate change, this “better late than never” approach involves substantial impacts and losses, as well as a high risk of causing irreversible changes. The International Youth Climate Movement has been working to counter a “better late than never” attitude that characterizes much of decision-making on climate change today. 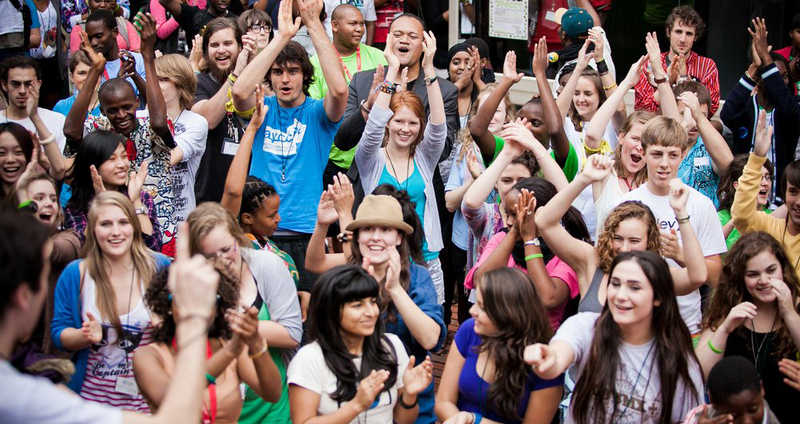 They seek to mobilize, inspire and empower young people to take action on climate change. National Climate Coalitions and Climate Networks are often affiliated with regional or continental movements. Since 2009, youth organizations have been provisionally recognized as a constituency in the international climate change negotiations, making their voices heard amidst slow and painful international deliberations. It is about youth empowerment, and building a sense of agency and capacity to make decisions and implement positive changes in their own lives and the lives of others, including those of future generations. According to Professor Bronwyn Hayward, author of Children, Citizenship and Environment, these “Voices of the Future” want to be heard. So, what can we learn from them? First, it tells us that collective engagement matters much more than the individual “ride a bicycle” or “change a lightbulb” approach to addressing climate change. There is simply more energy, more creativity, and more power to transform larger systems through collective action. Second, it teaches us that a better future is worth the struggle, and anyone can join in to work for political change. Campaigns and actions bring diverse people together to create changes that individuals cannot manage alone. Third, it makes it clear that connecting with others is the key to change, and that the easiest way to connect is through shared goals and visions, and by having fun. Who knows? It may very well be that fun is the critical ingredient for transformations to a more equitable and sustainable world. The youth of today know that we are deciding their future, and they are taking responsibility for it. If we would listen to them, perhaps we would all be having fun contributing to the largest and most important social movement in human history. As Isaac suggests, it is better than being boring and ignored.